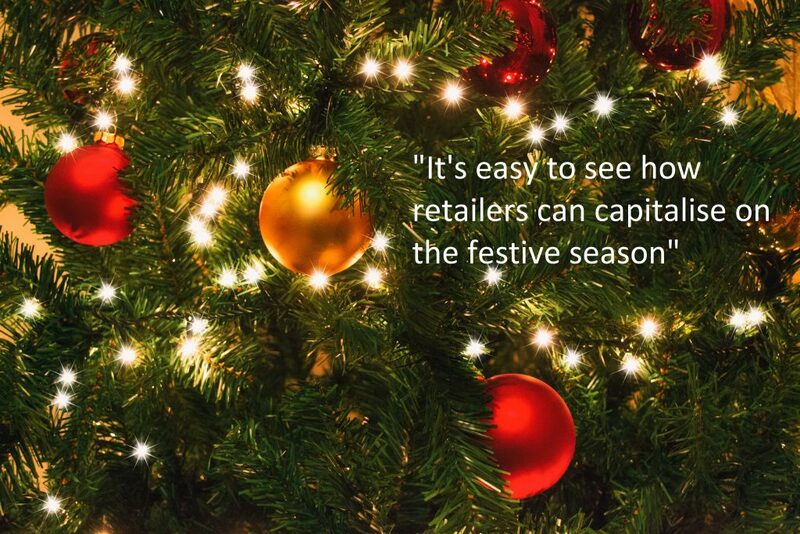 It’s easy to see how retailers can capitalise on the festive season, especially if their products make ideal gifts. However, it’s not just retailers that can take advantage of the season of spending. With the right digital marketing strategies, which usually incorporate elements of PPC, SEO and social media, you can increase your customer base, spread brand awareness in time for the coming year, and entice the sales that will arm you with the required capital to make a success of 2018. As one of Australia’s leading SEO agencies, we at Smart Traffic know a thing or two about making real, long-lasting connections with customers using targeted PPC, SEO and social media strategies. In this detailed guide, we’re going to give you an insight into the strategies that you, as an SME, should consider employing sooner rather than later to capture the customers that will lead your company into 2018 armed with plenty of capital and a sterling reputation. In addition to the digital marketing strategies detailed in this article, we’ll be publishing daily SEO, PPC and social media tips on our social media platforms and website. Keep a look out for those if you want to bolster your marketing efforts without spending a dime this Christmas. We’re also offering free PPC and social media reviews to SMEs that want to make the most of the opportunities the festive season brings. 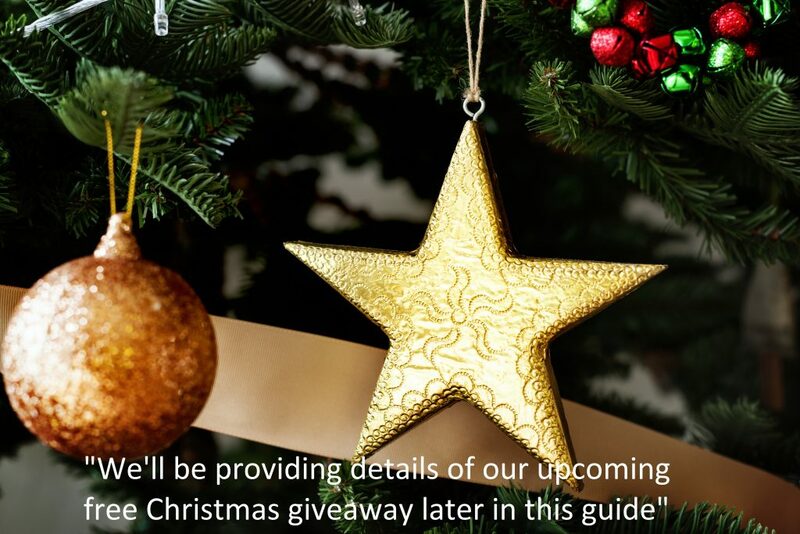 We’ll be providing details of our upcoming free Christmas giveaway later in this guide. For now, we’ll keep the details of the prize a secret, but it’s certainly not to be missed! 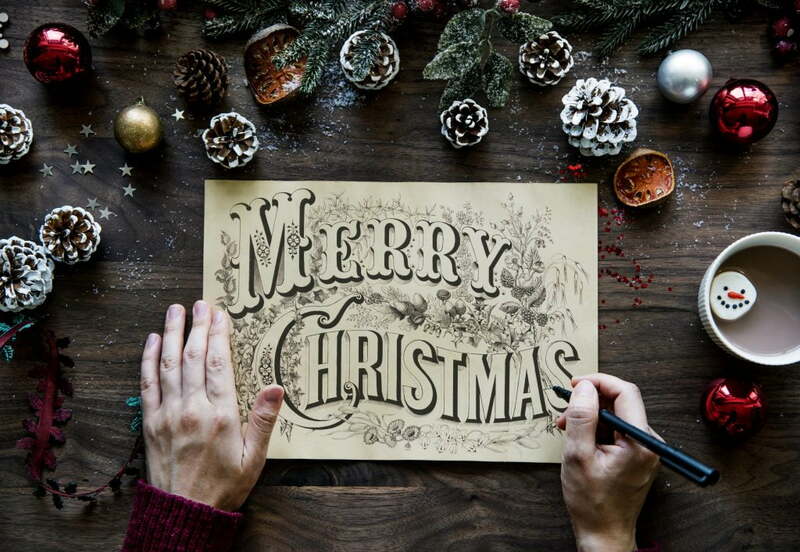 What Christmas Digital Marketing Strategies Are Australian SMEs Employing? If you know much about digital marketing, you’ll understand that it largely revolves around Pay Per Click (PPC), Search Engine Optimisation (SEO) and social media advertising. PPC strategies primarily focus on getting your business into Google’s sponsored results section while SEO strategies are about ensuring your company ranks high in the organic (non-paid) results. Social media strategies are, among other things, about connecting with customers and encouraging others to spread the word about your business. Before we start detailing the digital marketing strategies that SMEs are utilising this Christmas, we should probably tell you whether you need to focus your efforts on PPC, SEO or social media. Research shows that organic search results are more likely to be clicked than sponsored results, but ranking highly in Google’s organic results takes time. SEO is a long-term strategy, but one that should be complemented by both PPC and social media. PPC adverts may have a lower click-through rate than organic search listings, but they do lead to more conversions. Plus, you’re paying for your listing to appear in the sponsored results section, meaning while you do still have to compete for the top spots, it’s a little easier to get your company in front of people quickly using a PPC campaign rather than an SEO strategy. Social media should never be ignored regardless of how highly you rank for your target keywords in Google’s sponsored and organic results sections. The biggest social media platforms have hundreds of millions of active users (Facebook has over two billion), making the possibility of implementing a far-reaching campaign well within your reach. So, how should you be bolstering your PPC, SEO and social media efforts this Christmas? 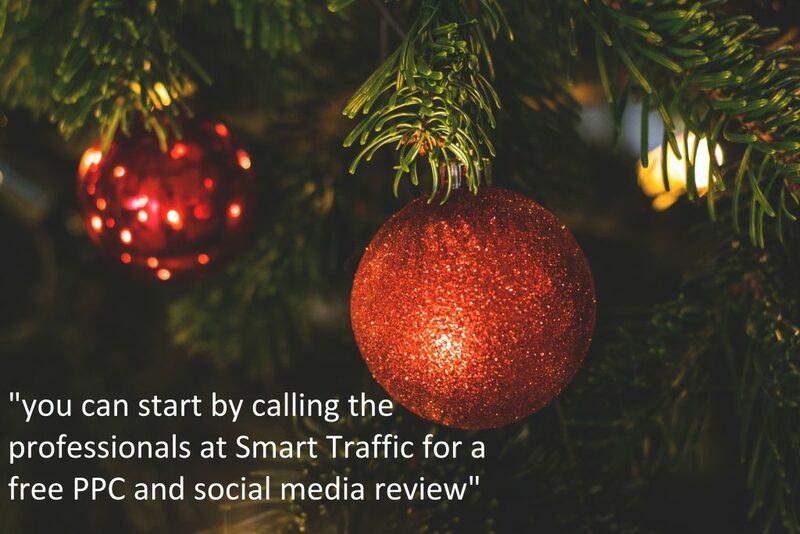 Well, you can start by calling the professionals at Smart Traffic for a free PPC and social media review. Then, you can take some ideas from the tips detailed below. They say you have to spend money to make money, and while our personal finances may take a hit during the festive period, a few smart online business investments can pay dividends if made wisely. The best results are gained when you set up a new campaign especially for your Christmas promotions and deals. However, this can be a time-consuming endeavor. The easy fix here is to create a set of new ad copies that focus on, and highlight the products or services you offer during the holiday season. Don’t forget to reflect the Christmas discounts and deals both in your ad copy and on the landing page they lead to. Nowadays, people associate PPC advertising with almost any form of paid online marketing, and there are plenty of platforms to utilise to reach customers. Try to keep your ads relatively consistent for the sake of brand awareness, and focus on platforms that your target market uses. As you’d expect, search and shopper trends change during the festive season, and you need to adapt alongside those changes to make your adverts appealing to Christmas shoppers. Use Google AdWords to see which keywords become increasingly searched for over the festive period so that you can tailor a PPC strategy that guarantees to get your listing found. Your PPC campaign should evolve as the festive season progresses. Remember to target the late shoppers that are panicking in the weeks just before Christmas. It’s wise to provide details of your guaranteed speedy deliveries and fully-stocked warehouse (if applicable) in your PPC meta tags. When your potential customers shop for the Holidays they might be exploring their options before anything else, trying to find the best deals or the biggest discounts online. This might mean that they will visit your website and then leave, trying to find a better deal elsewhere, before deciding to buy. Make sure your brand, deals and promotions retarget the shoppers that previously showed interest in your products or services with a remarketing campaign. A remarketing campaign will remind shoppers of your brand and discounts and acts as a psychological trick contributing to their return to your website and making that all-important purchase. 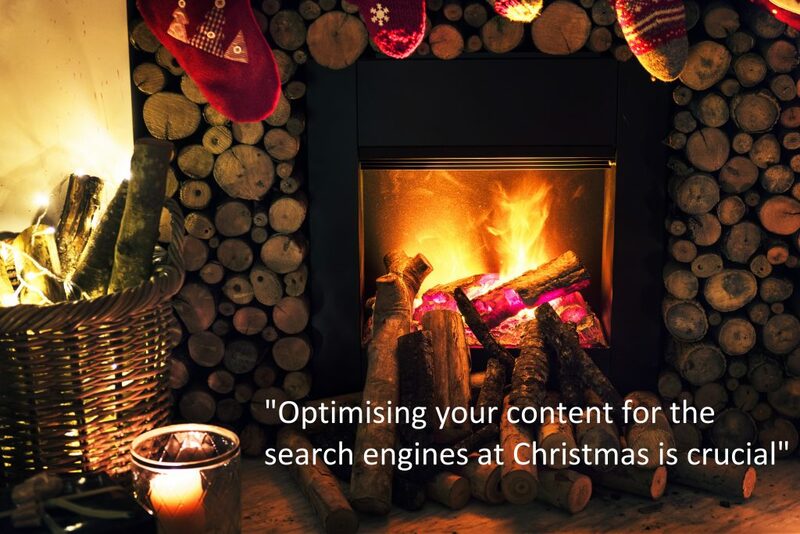 Optimising your content for the search engines at Christmas is crucial, but it’s vital to do it in a way that entices your readers to purchase your products or services. Here’s how you can do just that. 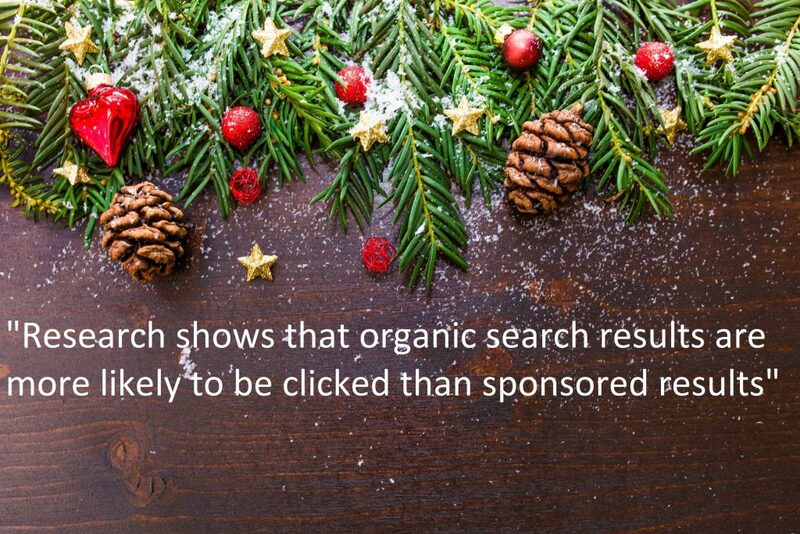 Taking advantage of the change in search trends means more than just targeting your PPC ad campaigns at search terms that are searched for more frequently over Christmas. It involves strategically inserting those keywords into your website content to rank high in Google’s organic search results. Optimise content that performed well last Christmas in time for this year’s festive season. Optimising your content for local searches is becoming increasingly important, and research has shown that companies listed in Google’s business box (the list of three companies you see at the top of the results page) have a higher click-through rate than companies listed in the organic results. If you haven’t already created a Google My Business profile, now is the time to do so. This is Christmas, which means everybody is just as stressed out as they are excited. People are frantically looking for special offers, fast-selling gift lines and unique purchases, so be descriptive and informative with your meta tags if you want festive shoppers to click on your site. According to Google, 40% of mobile users won’t wait more than three seconds for a webpage to load, so if you don’t want your website to deter the high-spending Christmas shoppers, now’s the time to optimise your website for mobiles devices. Consider swapping large images for smaller ones that require less loading time. If you want to create a mobile-friendly website quickly, you can use a conversion app, such as Duda Mobile. More and more SMEs in Australia are targeting long-tail keywords thanks to the rise in voice searches. Increasingly, people are asking Google complete questions rather than typing a search term. You can bet plenty of people will be taking advantage of such convenience when they’re rushed off their feet this Christmas, so get some of those long-tail keywords into your content. 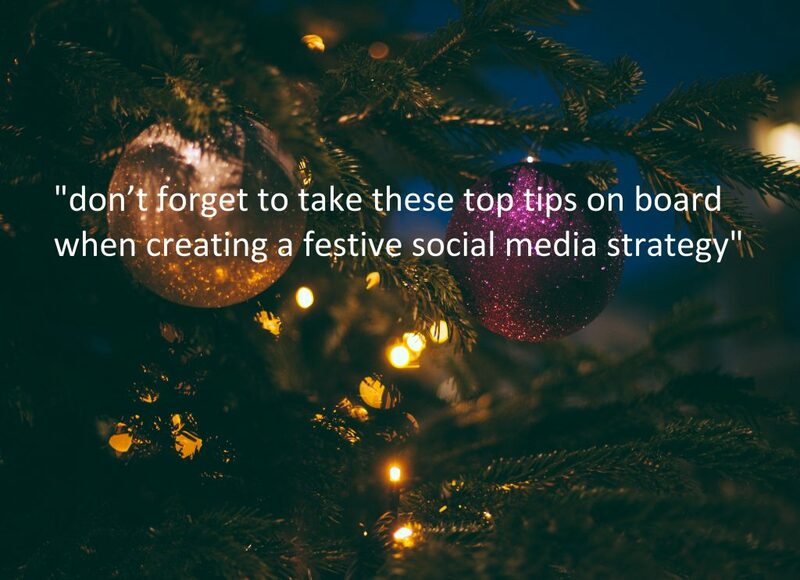 Social media platforms allow you to communicate with your customer base and target market for free in many cases, so don’t forget to take these top tips on board when creating a festive social media strategy. It’s the festive season, which means just about everybody has their eyes peeled for a bargain. People like to share the news of the gems they find on social media, so make sure to advertise your special offers and discounts on all the big social media platforms, and you might just go viral. It’s crucial to remember that Christmas is a time of giving, so don’t just inundate your followers with product offers and discounts. Offer your customers some top buying tips or gift ideas for loved ones, and they may reward you with their business. Sure, Christmas is a time of giving, but it’s also a time of receiving. If you want to get your customers hooked on the information you produce and products you sell, consider holding a competition or two. It’s wise to revolve your giveaway around the countdown to Christmas because that way, you can encourage your social media followers to check out your profile daily. Don’t forget to let your customers know how much you appreciate them this Christmas. Just showing customers that you care about them can work wonders for your company and the success of your digital marketing campaign. Here at Smart Traffic, our mission is to help as many Australian SMEs as possible climb Google’s search results, attract and engage social media followers and create effective PPC strategies. Because we’re feeling especially festive this Christmas, we’re offering you a free PPC and social media review to give you an insight into where improvements could be made to your digital marketing strategy. However, we’re doing even more than that this year. 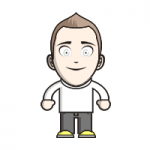 Starting on the 1st of December, we’ll be publishing our “advent calendar” of free digital marketing tips daily. Plus, we’ll be offering a free, exciting giveaway at Christmas, so don’t forget to stay tuned to our social media updates or to sign up after the 17th of December.